Vehicle Tracking System Suppliers - Compare Quotes Free! Increasing efficiency and reducing running costs are significant priorities for any successful business. A robust vehicle tracking system acts as a superior fleet management solution with commercial benefits realised across assets, equipment and personal – vital for any business that utilises vehicles or experiences movement of assets throughout their daily activities. After analysing all the benefits of vehicle tracking, it is vital to choose the right vehicle tracking system for your business, in order to ensure your business receives the maximum benefits. Approved Index provides free no-obligation quotes from leading vehicle tracking suppliers for business owners , in order to offer the most cost effective and tailor made fleet management solution for your business. In general, vehicle tracking is the process of tracking the travel path or journey of any type of vehicle whether it be a car, truck, van or motorbike. 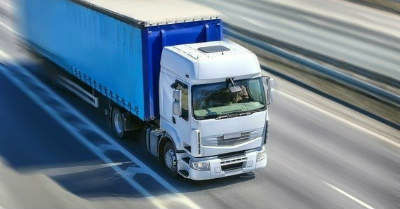 There are many benefits to having a robust vehicle tracking system for either private or commercial use. Privately, vehicle tracking is primarily used as an anti-theft measure and is very effective in disrupting the theft of a vehicle or tracking a stolen vehicle. More advanced tracking systems will even allow immobilising the engine of a stolen vehicle remotely by the owner or tracking operator. In many cases, if a vehicle tracking system is up to standard and Thatcham insurance approved then the owner should enjoy a reduction in their insurance premiums due to the accredited security protection. Tracking vehicles has been growing steadily in popularity for companies who operate with vehicles, especially as they increasingly becoming aware of the commercial benefits from tracking their fleets. With the importance of tracking commercial vehicles the term ‘fleet management’ was created, which describes the management of a company’s fleet of vehicles through business vehicle tracking and telematics. While it’s imperative for some industries that need to track the whereabouts of their vehicles in real-time, such as delivery drivers and taxi companies, many other industries have also realised the benefits vehicle tracking has in relation to fuel management, employee productivity and time efficiency. The most common tracking technology is the satellite technology known as GPS (Global Positioning Systems), which is also used in basic “Satnav” devices. Each vehicle carries a tracking device that communicates through satellite signals, allowing a business to track the location of their vehicle fleet across the globe, either with a real time or passive vehicle tracking system. A ‘real time’ system updates information in real-time and is well suited to businesses that need to track entire fleets and adjust their operation minute by minute. However, a passive vehicle tracking system acquires the relevant information on a capture key, which needs to be uploaded once the vehicle has reached the depot or office. Either vehicle tracking systems provide you with detailed national and local maps, daily vehicle logs and reports on speeds, mileages and fuel consumption. So whether you have a fleet of 10 or 10,000 vehicles, a vehicle tracking system will benefit your business. The commercial benefits of a robust vehicle tracking system for your fleet extend beyond just being able to track the route of a particular vehicle; the effects can be realised across the whole company. Increased efficiency - Knowing the exact position (and status) of your staff and your customers can hugely improve your efficiency, response times and hence your level of customer service. Having the ability to monitor fuel efficiency, driver behaviour, engine status, real-time vehicle positions and many more will allow you to see whether your drivers are driving economically and making the best use of their time. Effectively the aim as a fleet owner will be to raise both the productivity and efficiency of your fleet. Reduced Running Costs - The ability to re-route vehicles in real-time and improve driver habits based on feedback from tracking data (ie Speeding) will result in improved fuel efficiency. Furthermore insurance premiums are likely to be reduced for vehicles or assets that have appropriate tracking security installed. Work Smarter - Fleet management software can provide any level of reports from mapping and positional updates to detailed driver behaviour analysis. These custom reports allow you to make informed decisions and keep customers up to date giving you complete control. Added Security - If you're unfortunate enough to have to report a stolen vehicle, you'll be able to track the vehicle down if not the culprit. Advanced tracking systems with Radio Frequency Identification (RFID) technology can give you complete peace of mind in knowing that your assets are tracked and where they should be. There’s a whole range of commercial benefits for your business from having a vehicle tracking system installed across your fleet, it’s important to understand the full extent of these to identify the areas you can improve the most. Which Vehicle Tracking System Is Right For Your Business? With so many companies offering vehicle tracking and fleet management solutions in the UK, it’s difficult to know who the best supplier is. As there are many leading providers who have a global presence with a range of systems it can be impossible to choose. Approved Index’s Vehicle Tracking Directory already has over 110 companies registered. 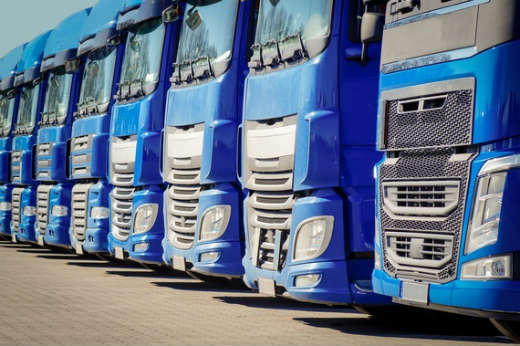 With a wide range of vehicle tracking systems on the market for all types of fleets, comparing the options and selecting the most appropriate system for your fleet is important to ensure your business benefits from every aspect of this technology. A good first step is to take a look at how your fleet is utilised reviewing their daily activities and routes. As a fleet owner you should consider the level of information and data that is required to be reported and how often this information is needed to be transmitted back to HQ. Once it has been established whether real time or passive tracking is right for your business, the next step should be taking a look at your fleet and the type of work they’re involved in. This helps fleet owners to quickly compare and decide the level of features and customization that are required for a vehicle tracking system. Specific features will depend on the supplier or model of tracker and these may include; mapping facilities, custom reports, third-party compatibility, telematics, speed tracking, RFID technology and much more. Approved Index’s smart matching system will take the stress out of choosing the right vehicle tracking system and supplier. We provide you with up to 4 of the best alternative vehicle tracking options based on your requirements and let you decide which quote is right for you. The cost of a vehicle tracking system depends mainly on the features your business requires and the complexity of the hardware you will be using. The prices vary accordingly to the size of the fleet and the different needs from businesses. You can either pay off the tracking system in one lump sum or lease it. Purchasing a system outright will cost you at least £200 per unit excluding an additional installation cost of £50 - £100 per vehicle. Leasing a tracking system starts at £9.99 per month per vehicle (includes vans, cars, lorries and trucks). Paying outright for a vehicle tracking system allows you to be flexible with managing further costs, whereas leasing reduces the upfront costs for fleets with a smaller capital. However, a lease commits you often to a long term contract of three to five years, where an early termination of the contract involves an expensive termination fee. It can be overwhelming to decide which devices, payment methods and contracts are the right options for your business. However, managing costs are vital to running an efficient and successful business involving fleet management. If you want to keep a closer eye on your fleet and improve its productivity, Approved Index will find you a vehicle tracking system to meet your specific requirements and let you compare the quotes! Be more efficient; save up on business costs and make sure your fleet is safe by looking into vehicle tracking systems today. Simply tell us your requirements on our quick enquiry form to receive free, no obligation quotes from up to 4 leading vehicle tracking suppliers.